Welcome to Stillwater Stables – you’re going to love it here! At Stillwater, our focus is the well-being of our horses and our clients and we want you to feel that the minute you arrive. Are you interested in riding? Do you have a child who is interested in riding? Maybe you’re not sure, maybe you’re a little nervous. 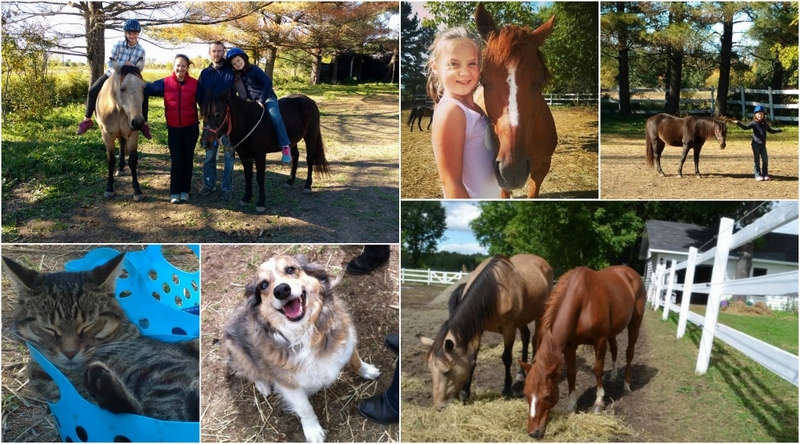 We understand that so we want you to drop by, visit the rabbits, play with our cats and dogs, and of course, meet our horses. Come and watch a lesson, walk around, brush a pony. And after you do, we’re sure you’ll want to become part of the Stillwater family. We have more than riding lessons for kids and adults – we have programs for summer camp, birthday parties and PD days. Are you already a horse person but you’re looking for somewhere new? Maybe you want to re-connect with the horse world. Maybe you want to take a new approach to your horse-human partnership. Stillwater is the place for you. You can read more about our natural horsemanship philosophy and our programs on the site, but if you have any questions we haven’t answered, come and check us out! It could just be something that changes your life.